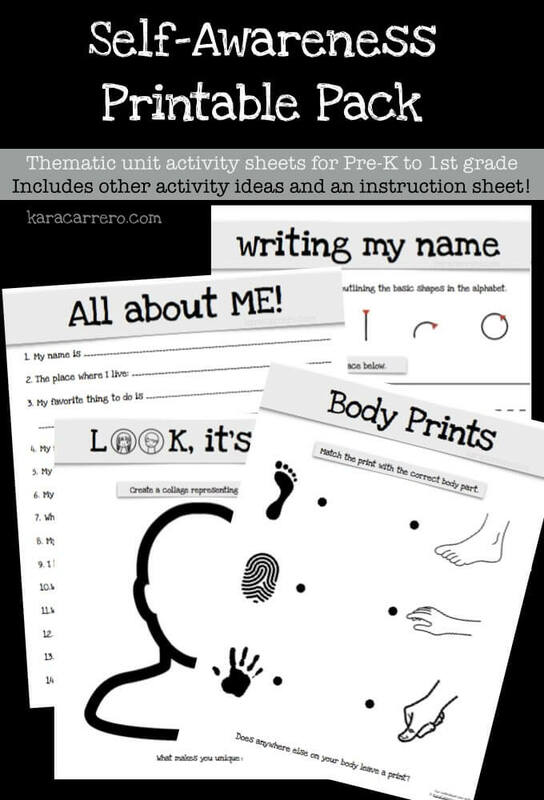 Use this set of 6 printables to help introduce your school year and focus on “self” first. Since kids can better explain themselves and their own situations, this is the perfect introduction into the learning process. It can then branch out to family, friends, neighbors, etc.. 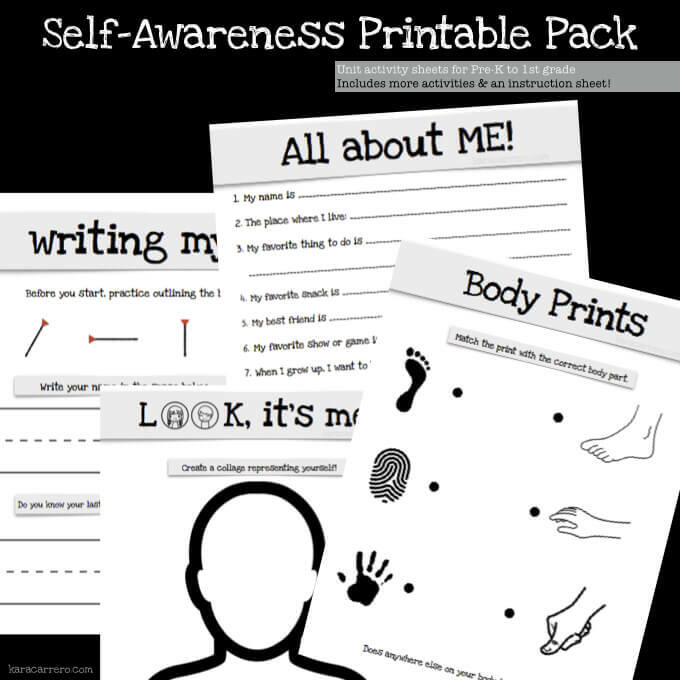 This printable pack includes 6 pages with easy activities to reinforce the concept of self-awareness. A couple of other ideas for parents to implement learning and safety are also included. This is the first thematic unit study in a 36 week series where kids have a project related to the theme each day (and read thematic a book each day as well).